Second, Penang is my hometown, I wish it could be a peaceful place but not a slaughtering farm. But I do respect our CM decision on "get rid" of all the stray dogs for the best of his people but I do hope doggies life could be save as much as possible if they had a chance. But there are something I need you to know. First, lets talk about Fatality. Do you know what is Rabies? 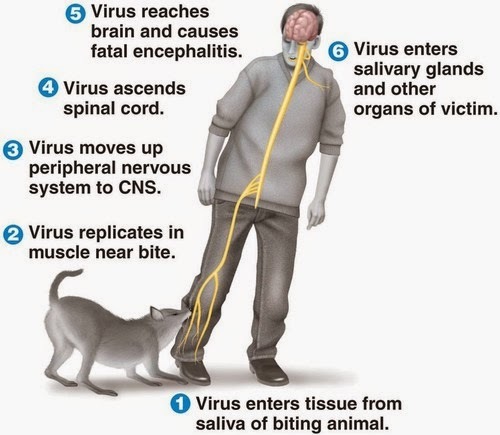 For your information, Rabies is 100% fatal in humans who are not vaccinated and is expected to live only SEVEN DAYS after the appearance of symptoms. 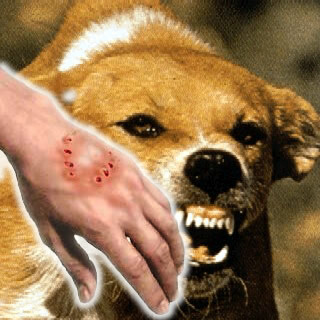 Rabies is also easily transmitted through contact with saliva of an infected animal. World Health Organisation says that 55,000 people die of rabies yearly. So if you or you family members accidentally contact to an infected stray dogs and you/family members are not vaccinated, what do you think it will possibly happen? Second, ways to get this problem solved instead against something that you can't fix! I have been seeing a lot of Facebooker, cursing LGE or say it is a cruelty act against the dogs. Instead being a keyboard warrior, why not show your caring to adopt them and get them vaccinated then give them a home if you can? The Penang Government is just doing their best to keep his people to be safe as this is not a flu or fever, this is 100% fatal virus! For your information, WVS told the state government that the NGO could only come in October, and the risk was too great for the citizens in Penang. I suggest to all dog lovers that if you really do care for the stray dogs, adopt and get them vaccinated as many as you can, and the government will be happy enough too to kill less of them. Here is some Facebooker that arguing over this issue. 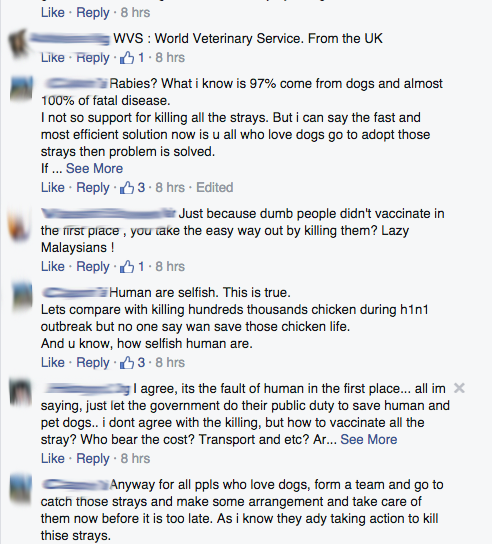 Those who participated in the cursing Mr. Lim Guan Eng thought that you are literally helping the doggies? Shocking truth is you are killing them by wasting your time from saving them and the karma goes to those dogs. Don't you think so? Lastly, for your information third case of rabies has been confirmed in Penang. So if you support the Penang State government decision, just let them do the work and stop arguing with the dog lovers that tries to save them. If you support not killing, go do your part to save/adopt as many as you can afford and stop arguing with those who support the Penang State Government. 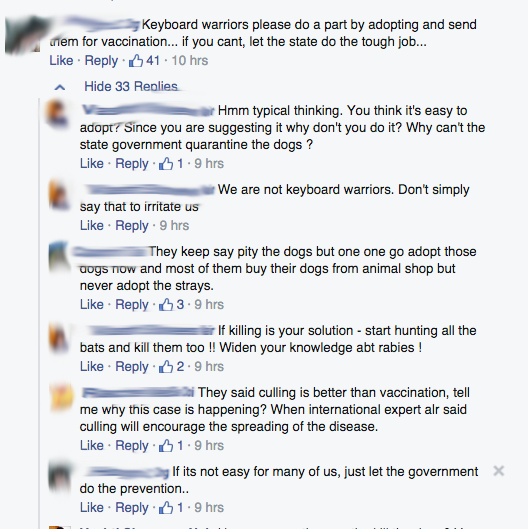 Wining an argument in Facebook post doesn't help the doggies or the rabies virus. Just let the Experts do the work and keep them focus on get rid of this issue as soon as possible. Some Facebook followers did provide me an Animal Shelter that helps those stray dogs that they need public to donate a 15kg of dog food for their basic needs! You may message me for more organisation that could help so I can post it in my blog to increase the public awareness. agree with your statement. instead of complaining, do own part. Everyone do a small part, a big solution can be done.